The most important thing when it comes trading Options is to choose a broker like Olymp Trade that you could rely on. It is a regulated and award-winning online investment platform, especially for new traders. 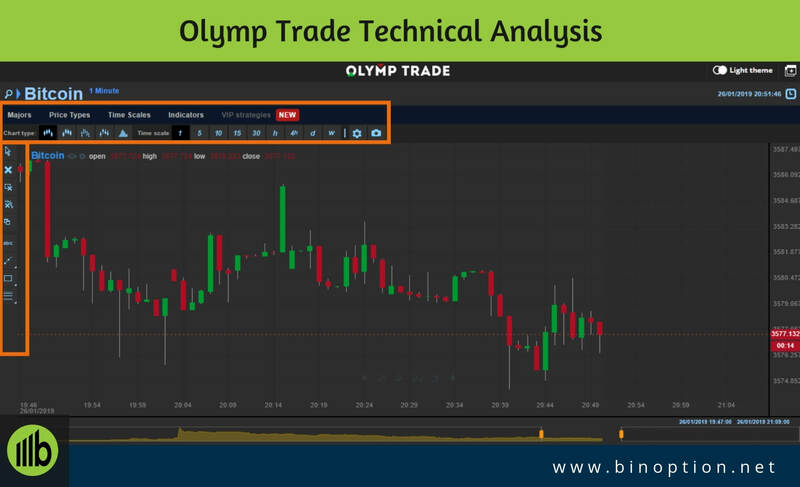 We are here with this Olymp Trade Review which will help you to have an idea of what is Olymp Trade and its platform. Olymp Trade started their journey in 2014 as a binary broker. Now Olymp Trade is a high-tech IT product. They have improved and made a seamless trading platform for their traders that will help them to achieve a high return. The minimum deposit amount starts from $10, which will help you to get a return up to 80%. Moreover, they have received numerous trading awards for their transparency in the financial market. Traders can share their trading experience through the trading club. You can share your experience through the trading club which we will discuss broadly later in this review article. The broker is offering more than 70 trading instruments along with trading tools, indicators, trading signals, quotes list, trading news, analytics, and many more. 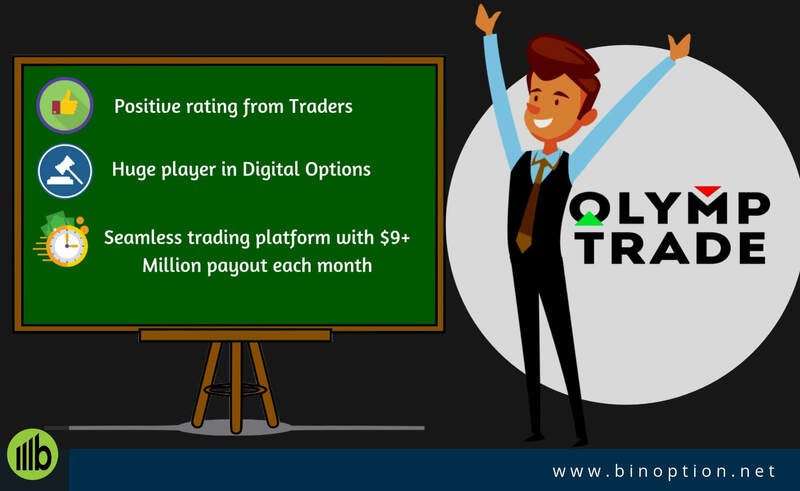 Olymp Trade Review- What is Olymp Trade? Olymp Trade was founded in 2014. At the very beginning, the company focused on customers from CIS countries. However, they have now traders from Southeast Asia (Indonesia, Malaysia, Vietnam, Thailand), Latin America (Argentina, Brazil), India, Pakistan and Arab countries. This international online trading platform is now offering Forex trading for their traders. The trading broker continuously improving their trading platform based on the trader’s needs and market trends. The domain and all rights belong to this managing company. Smartex is a brokerage company which provides options trading service. The Registration No. is 25161 IBC 2018. The company registered at James Street, Kingstown, First Floor, First St Vincent Bank Ltd Building, Saint Vincent and the Grenadines. You can also consider it as a reliable broker because it is a Category “A” member of the International Financial Commission or FinaCom. They joined in this commission on February 22, 2016. This membership proves that Olymp Trade provides high-quality service to their traders. The broker has its own proprietary trading platform which is user-friendly and easy to use. Moreover, they have created a unique trading platform so that, any type of trader can try their hand in trading. Each month, the amount of payouts increases by 7% (on an average). Everyday more than 25,000 traders trade on a live account. The size of the monthly average trade is $4.7. You will find the educational blog in your native language. Olymp Trade is operating their business all over the world except few countries like UK, USA, Europe, Japan, and Australia. They are providing their services in 12 different languages where English is the main language. As a trader, you need to research on a broker to find out their unique features apart from the regulation. There are numerous trading tools that will help you to trade the most volatile asset classes like forex, stock, crypto etc. In this section, we will mention the Olymp Trade unique features which will give you a clear idea before investing money. 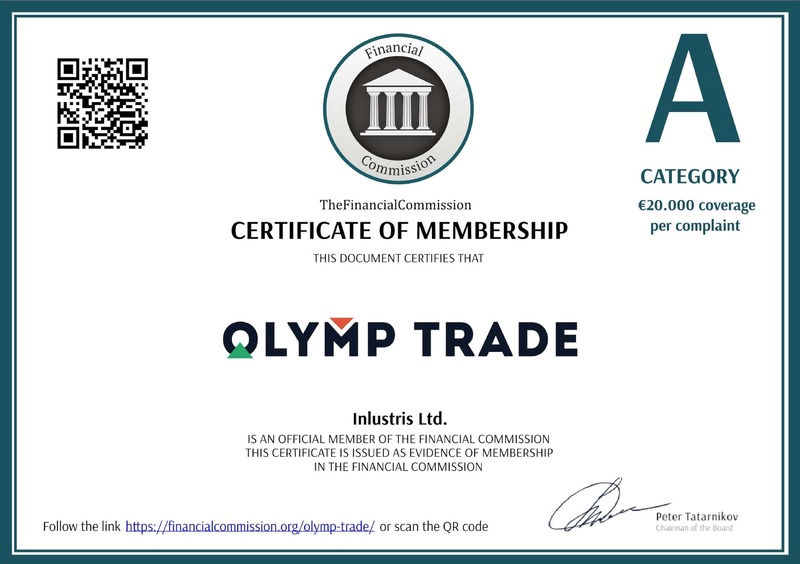 In 2016, Olymp Trade considered themselves as a Category “A” member of the International Financial Commission. Olymp Trade is giving an assurance to their traders, that the platform is safe and secure to perform the trade. If the broker does any fraudulent activity with a trader, then he or she will get up to $20,000 from the Compensation Fund. Olymp Trade ceased cooperation with CROFR in late November 2016. This trading broker is also certified by the FMRRC (Financial Market Relations Regulation Center) which is the main regulatory body in Russia. Olymp Trade has been running their business for approximately 5 years. They are growing and improving their services day by day. They have won numerous awards for the Excellency in the trading service. 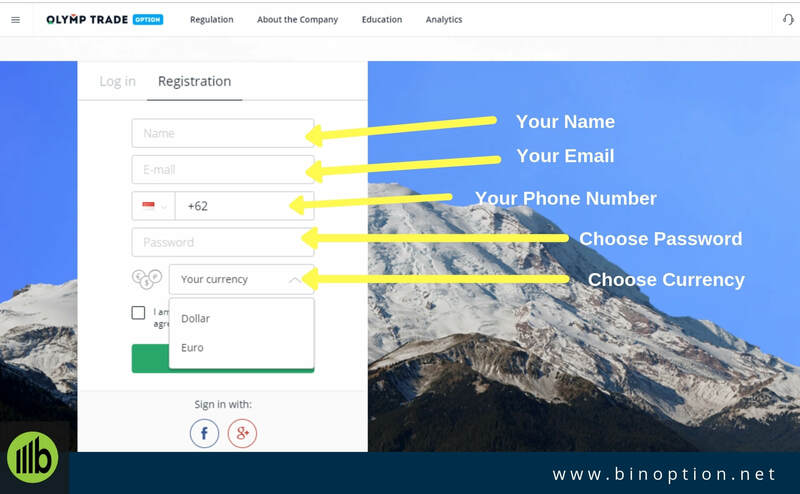 To sign-up into the trading platform, you have to fill a registration form from their official website with your personal data such as name, email, contact number, password. You can also use your Google plus and Facebook ID to complete the sign-up process. However, to complete the registration you need to give your contact number and email. Choose a currency from the given list. You can in choose between 2 currencies: EUR & USD. Read the terms and conditions carefully and then click on agree and finally click register. A confirmation email will sent to your account. You can either choose the demo or the real account to perform your trade. A minimum deposit of $10 is needed to start your live account. After completing the sign-up process, you are ready to log into your account. Simply enter your email and password to sign in your account. 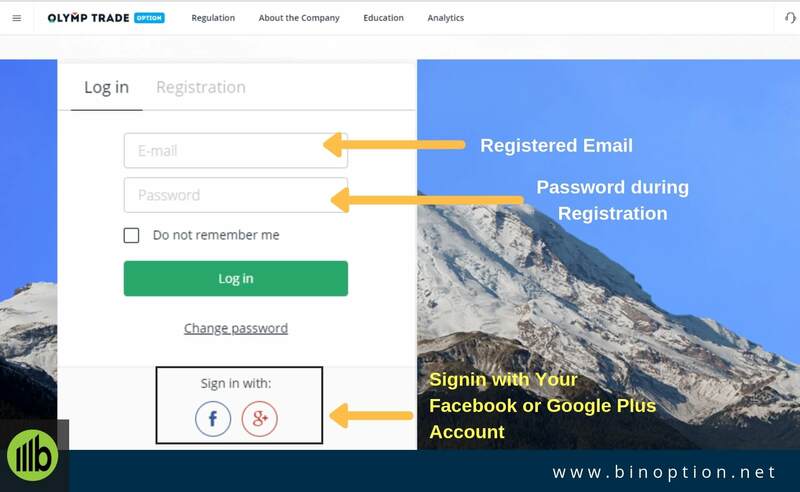 You can also use your Google Plus and Facebook valid ID to sign into the broker’s platform from your desktop device. To log in to the trading platform from the mobile device, you can use your Facebook, Google Plus, or using popular Russian social networks such as VK, OK, and MOI MIR. Traders need to verify their account based on the company request. The company will send a message if they need any account verification. It will take five business days to verify the client’s account. A confirmation mail will be sent by the authority after completing the verification process. All necessary documents must be sent via email. Note: It is mandatory to send via the same email address which you used during the time of registration. A color scan or a photocopy of your passport or any photo ID card. A “selfie” where the client is holding an open passport in his/her hand and the face and passport data are visible. 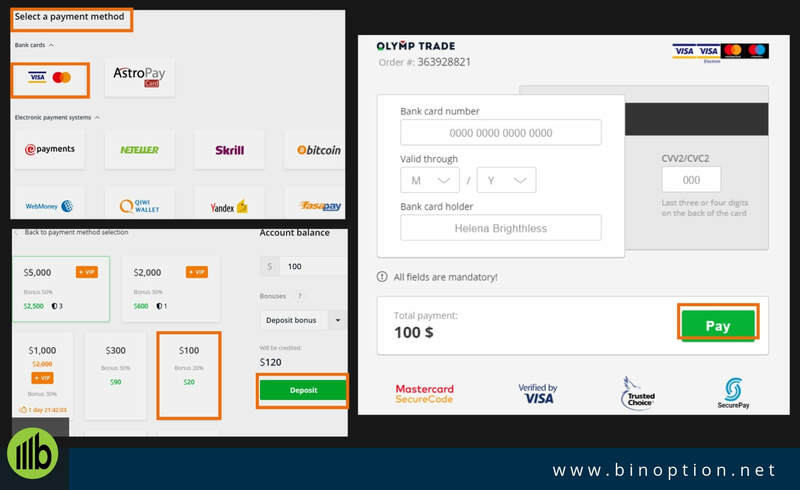 Olymp Trade offers a demo account with $10,000 virtual money. 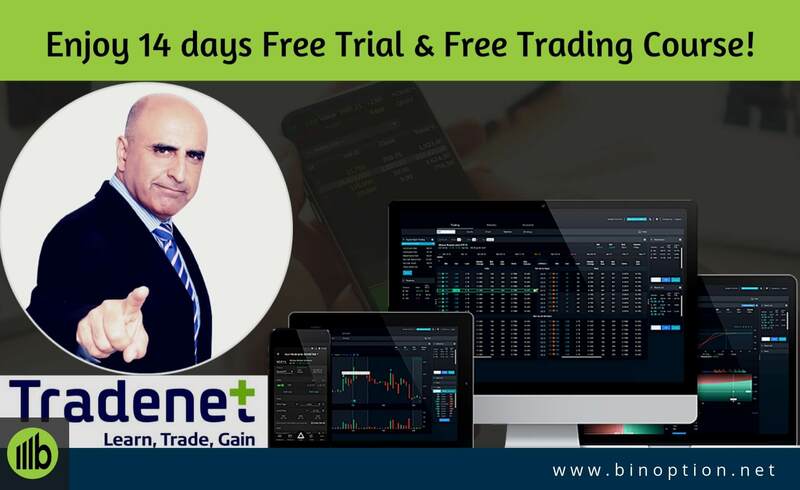 Trading with a demo account is free and specially designed for the new traders. So that, you can practice your trading without any risk, fear and any rules. Demo account is available for both the Standard account and VIP account. You will able to come back to the practice account from the live trading account. There is no difference between a practice account and a real account in terms of underlying assets, trading tools, and indicators. In the demo account, you will get the same experience as real trading. For the demo traders, trading signals are available as a real trading platform. You can increase your confidence after practice through a demo account. Moreover, you can practice your trading strategies by using different tools and indicators. 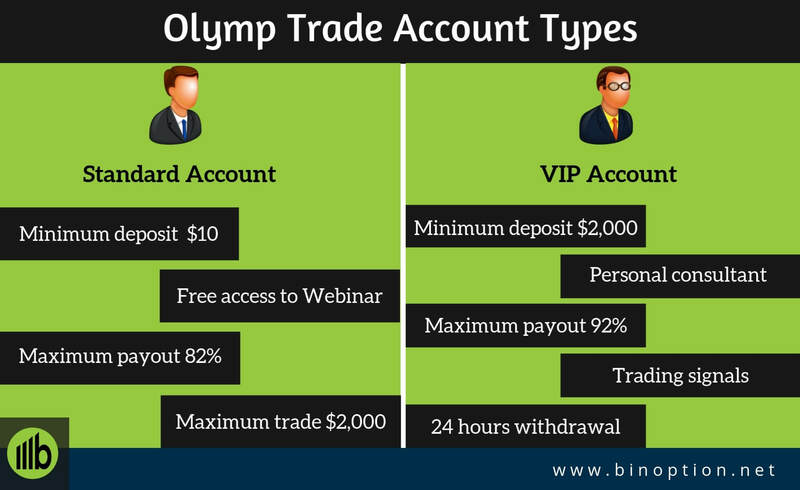 Olymp trade is offering 2 types of accounts for the traders. One is for general users and another one is for VIP or professional traders. The standard account is for the majority of traders. We will mention all the features of each account one by one. Traders can open a real account by depositing $10. You can start your first trade by investing only $1. A deposit amount exceeding $2,000 will qualify you for a VIP account. You will enjoy the demo account facility to practice your trade. For Standard account traders, all educational materials are available. All trading instruments and assets are available for you. You will get FREE access to the trading Webinar. The maximum payout ratio is 82%. The maximum trading amount is $2,000 for standard account traders. VIP account holders will always get guidance from an experienced trader. You will get a personal consultant who will always there for you. By giving proper trading knowledge and suggestion, he will help you to improve your trading skills. To get the VIP status, you need to deposit a minimum amount of $2,000. However, you can deposit $1,000 and $200 as well. But depositing $1000 grants you 15 days of VIP and $200 grants you 2 days of VIP. The maximum trade amount is $5,000. The maximum payout ratio is 92% for VIP traders. You will also get a facility to withdraw money within 24 hours. Traders will get ready-made trading signals and trading plan right on the platform. Get a risk-free trading experience with an exclusive trading strategy which is only available for VIP traders. You will also get the demo account facility. However, to get access to the private trading signals, you have to deposit a minimum trading amount. Private VIP webinars are conducted for account holders. According to their claims, these benefits will allow you to earn more. 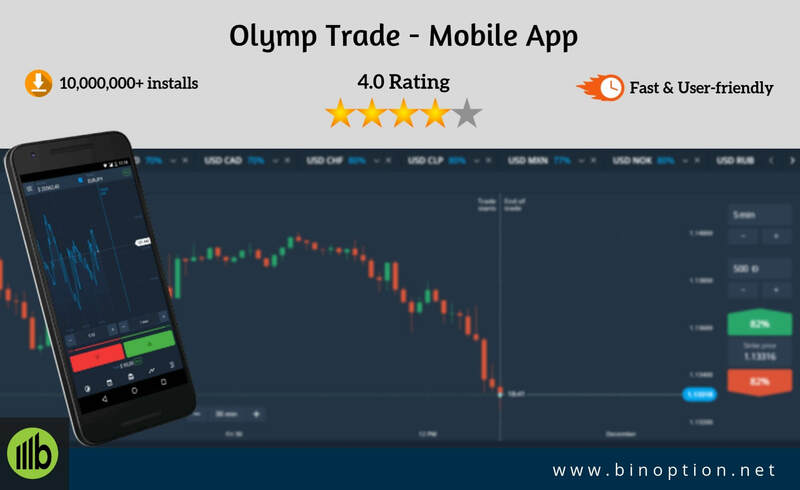 There are over 70+ trading assets that you can trade the help of Olymp Trade app. You can download the trading app in both the desktop and mobile device. Download the app for android and apple from iOS Store and Google play store respectively or browse directly from the website. The mobile app is unique for its interface and also ideal for any gadget. There are 2 trading platforms available for traders to trade on. One is for Options and other is for Forex. As a result, for the options, you will find the app with the name of Olymp Trade online trading app and for the Forex pairs, you will find the app with the name of Olymp Trade Forex. Traders need to download both platforms separately on their mobile device. The mobile app is very much similar to the desktop trading platform. You can easily browse charts and other information. The app allows traders to fully manage their trading accounts, deposits, trading tools, indicators, education resource, and other facilities. You will get the real-time price quotation on your mobile platform. More than 10,000,000 traders have installed the trading app. This information is collected from their recent updates. The average customer rating is 4/5 for both trading platform. To install the app for Options platform, your device needs to have 21M hard disk space with the device requirement of 4.0.3 and up. To install the app for the Forex platform, your device needs to have 10M hard disk space with the device requirement of 4.4 and up. Mobile App is available for both Android and iOS. 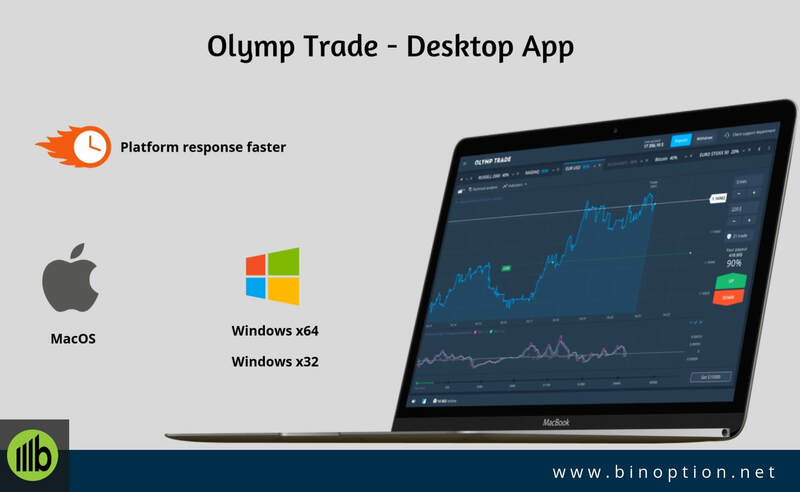 Traders can download Olymp Trade platform on their desktop. The platform works faster for Windows and Mac OS desktop device. Your windows need to be 32 or 64 Bit to download the trading app. If you want, you can avoid the download and perform trade via the web browser. Olymp trade is working with a particular asset type from the beginning. 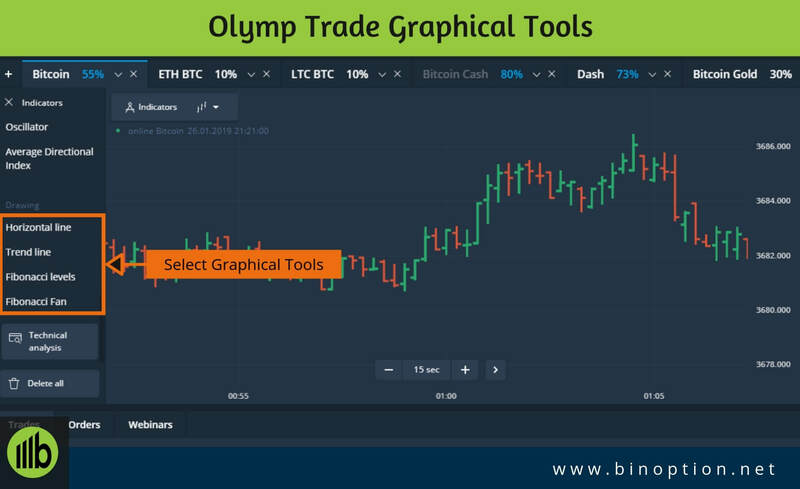 Olymp trade offers Options trade on currencies, cryptos, commodities, stocks, and indices on the options platform. In the forex platform, you can trade on currencies, cryptos, and metals. 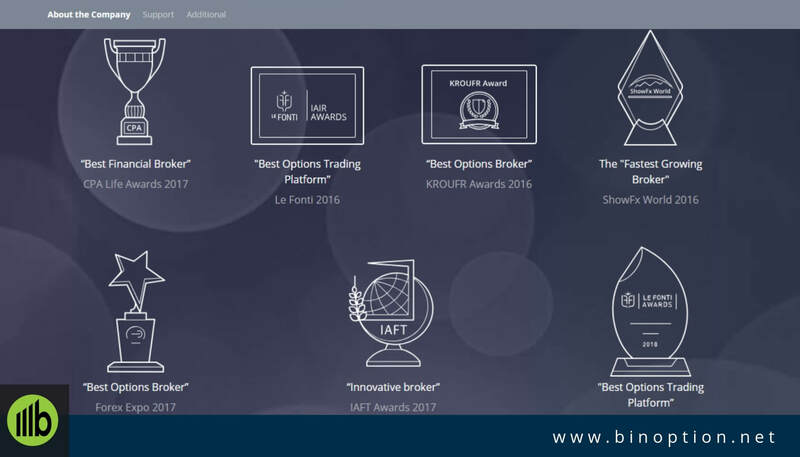 There are 5 types of trading classes available in the broker’s platform. Under these classes, there are more than 70 assets instruments are available. Traders can place a trade which lasts from 60 seconds to 3 hours. There are 35 currency pairs, 12 cryptos, 6 commodities, 10 indices, and 13 stocks available. The assets will open depending on the trading hours. The payout ratio depends on the trading assets. For the standard traders, the highest payout ratio is 82%. You will find detailed information regarding each asset in their homepage. Trading with a proper strategy will increase your rate of success. There are many strategies available for traders. You need to choose the strategy, which suits your trading style. Market analysis is also important to build a proper trading strategy for your trading. It is our recommendation for all traders to control their emotion when performing trades. You will find many popular trading strategies by using different trading indicators and tools. Strategy for trend market, candlestick patterns strategy are popular from among strategies. There are a few strategies which you will find from the education section. Here, we are discussing some strategies in brief that you can implement in the Olymp Trade platform. You can apply this strategy by placing two SMA (Simple Moving Average) at a time. It closely follows the trend showing the average price. Receive the multi-level signals from Olymp Trade by using three indicators such as EMA, MACD, and Parabolic SAR at once. It will help you to bring success by maximizing the trade accuracy. It focuses on a high return. This is a wonderful trading strategy for beginners. This strategy works on any assets without using complicated indicators. This trading strategy is for the trend market. This strategy works best in the fast-moving trend market. This trading strategy is helpful for traders when the trend turning. It based on three elements such as the slow stochastic oscillator, price levels, and turning candle patterns. By using this strategy, find trend reversal points using just one oscillator. Make sure to use this strategy when you are trading in the period of European and American sessions from 7 am to 5 pm GMT. Follow the economic calendar to know the important news announcement. Try to avoid this strategy at that moment. You can find the optimum market entry points using 3 oscillators at once and make profitable trades on a trend reversal by using this strategy. By using this strategy, the trader will combine the moving average with the Bears Power indicator to get trend signals for trades on the most volatile assets. Traders can feel the power of Heiken Ashi when you combine it with trend indicators to find optimal points of entry. This strategy is based on the reversal principal. Set levels of support and resistance and trade on trend reversals. 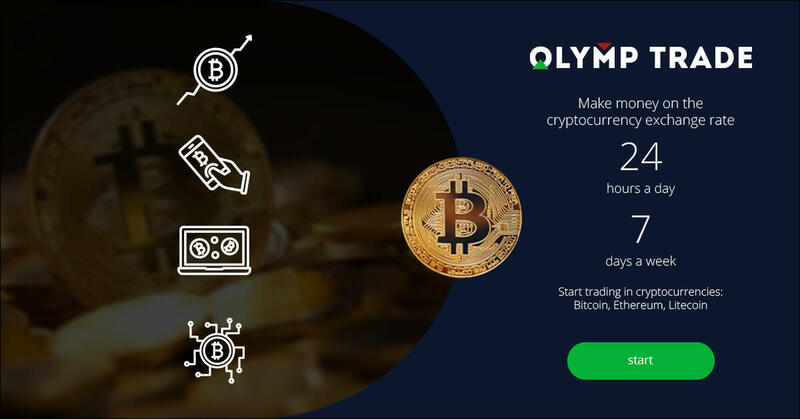 Olymp Trade has its own trading platform. 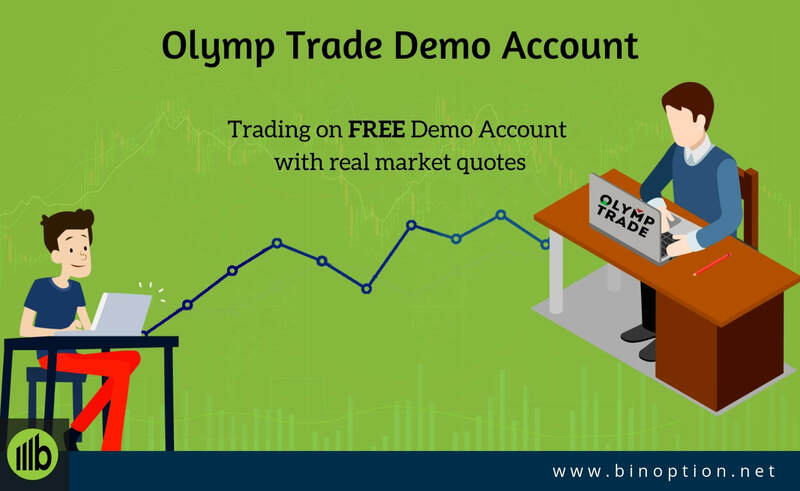 Anyone can trade with Olymp Trade FOREX an Olymp Trade OPTION accounts on the platform. These accounts are separated and have different interfaces. The platform is designed for thinking about new traders who have zero experience in the financial market. This is the platform where you can not only trade and earn money, but also learn, compete with other users, participate in tournaments, and many more. proposes a weighted average price on the platform. Olymp Trade supports 12 languages. You can only trade in two currencies: US Dollar and Euro. 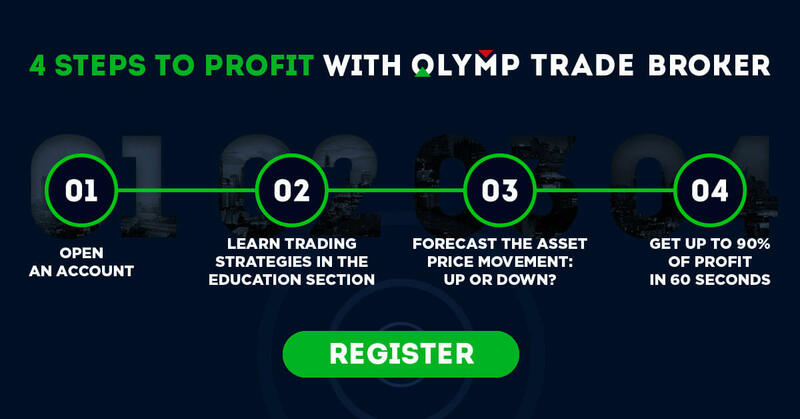 After opening an account with Olymp Trade, a trading platform will open automatically. The first thing you will see a moving chart. This is an asset chart. You can choose all assets from the asset list or can select a few which you want to trade. By clicking on the bookmark you can switch between the assets. You can switch between the Options platform and the Forex platform. You can fund your account and make a profit by clicking “Make Deposit” button. On the left side, you will find a list of where you can select the necessary trading option. The list is combined with all trading information such as deposit, withdraw, your trading transactions, trades, quotes, education, analytics, company information, regulation, additional information. You will find all trades for both the demo and live account depending on the trading status. The status will indicate either your trade is going correctly or not. It will show the status if you sell an asset by using the trading platform. Traders can see the live quotes of each assets depending on the date, time, and the time zone. Olymp Trade is continuously developing its trading platform to fulfill the clients’ needs and based on the latest industry standards. 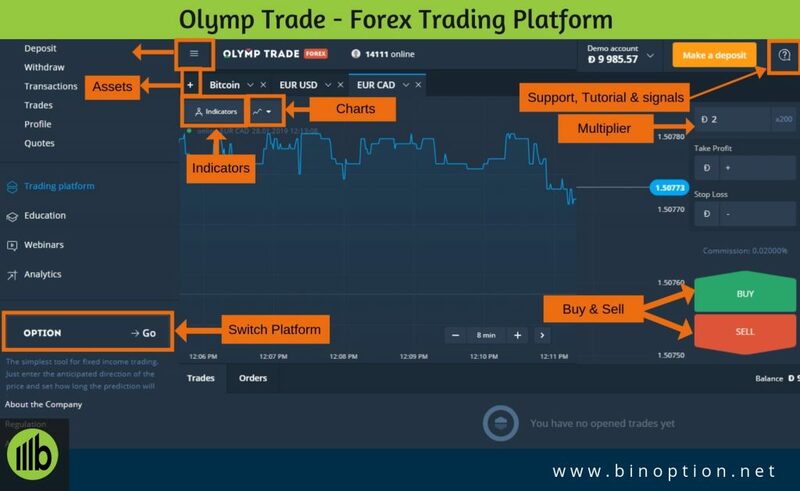 As we mentioned before, Olymp Trade has two different platforms for Forex and Options. So, we wrote the platform features separately so that you can understand easily. In both demo and real account, you will find charts and indicators. The trend indicators will help you to analyze the market properly. 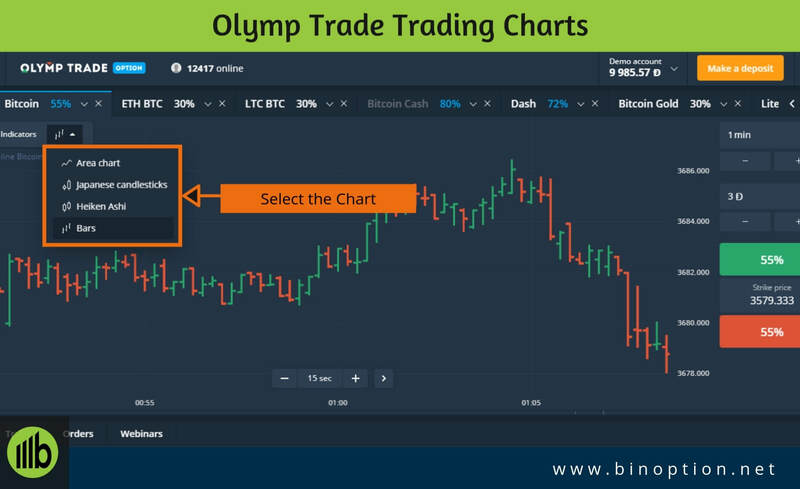 An Olymp Trade OPTION account is used to make two types of option deals based on the trade duration (from 1 minute to several hours) and on the expiration time (from 1 minute). In the options trading platform, the sentiment indicator will show you the ratio of all open trades for a particular asset. Red indicates that the trader is opening Down trades and green indicates the Up trades. You will find a complete asset list from where you can select your desired asset. 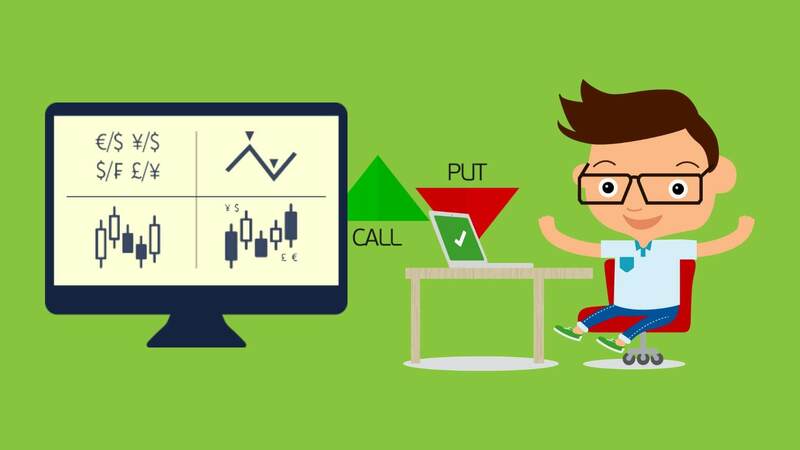 In the options platform, there is a CALL and PUT button, strike price, and the expiry time. You can close your trade before the expiry time to cut the losses. You will find a time frame on the bottom of the platform. You can choose different time frames. The time frame starts from 15 seconds to 1 month. You will find a Green Button and a Red Button. The green button will help you to buy an asset and the red button will help you to go for short. In options, there is no commission fee available for the broker. You can review all of your open trades in the trade menu from the bottom of the platform. You can see your all closing trade information as well. Traders can find out all their active positions and pending orders from the portfolio. In the forex trading platform, the functions of the trading platform are almost the same as the options trading platform. However, the logic of trading is not the same. You will not find any expiration time. Instead of this, you can select the multiplier to trade with your desired asset. You have to set the choice of the multiplier from the “profile” settings. Set the take profit and stop loss. This will help you to restrict your profit and minimize your loss. You can choose the time frame form 5 minute to 1 month. By clicking buy or sell, you have to pay commission to your broker. Some of the commission changes all the time, so be careful while trading any assets. At the bottom of the platform, find information regarding your open and close trades. At the right side, in the support section, traders will find 2 options. One is knowledge-based and other is for an online consultant or live chat. 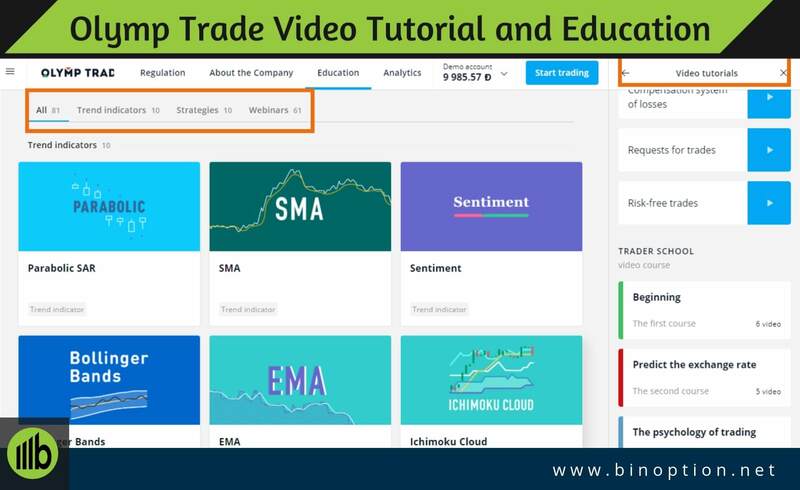 From the video tutorials, you will find basic videos which are made for educating traders about the platform. A wide range of video course available. You can learn about the world of finance, basics on options trading, trading analysis, and so on. Online assistance is there for you, who will guide you about the trend indicators, strategies, your profile, payments, and charts. You will get online trading signals which will help you to trade the market. You can use any indicators as per the market demand and the market trend. Among these indicators, the first nine indicators will help you to trade following the trend analysis. However, you cannot add more than one sentiment indicator. 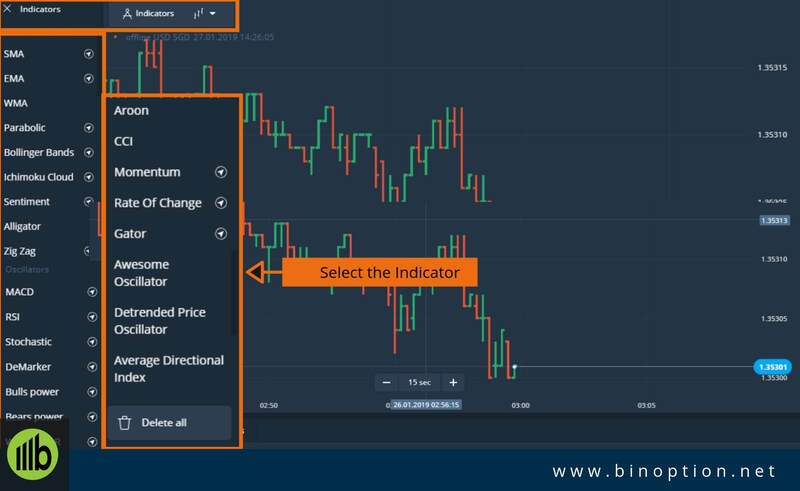 Additionally, if you click on the name of each indicator, the trading platform assistant will make you understand the following indicator with the necessary information. The sentiment indicator requires no additional settings like others. You can set the time frame on each indicator which will show you the high and low value of the asset. The parabolic SAR indicator only works on the Japanese candlestick chart and the Bars chart. Time interval starts from 15 seconds to 1 month. These are mostly used to conduct technical analysis of a particular asset. These graphical tools are mainly different types of the trend line. If you click the technical analysis from the Olymp trade platform, a new window will open for this. You can access the technical analysis tools. You will find charts on the technical analysis window. You can also set a bookmark on the trading platform. You will get price types and time scales. The functionality of the VIP strategies is only available for the VIP traders. You will get an opportunity to use plenty of indicators from the technical analysis platform. You will get a facility to add them and change the settings as per your analysis. We strongly recommend you to use this technical analysis tools to predict the future price correctly. 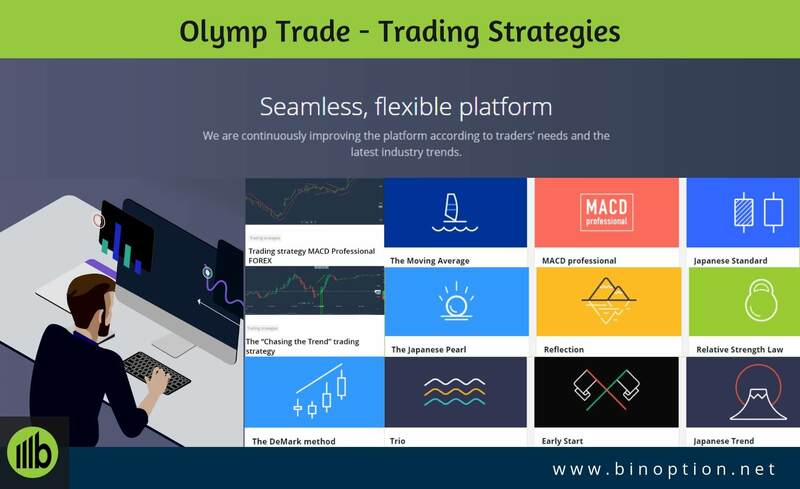 Olymp Trade has a full-featured trading educational section from where you can get all basic knowledge on trading. The education center will help new traders to learn about different trading strategies and trading indicators which will help them to learn how to trade and implement those strategies properly. Apart from 61 Webinars, we get 10 strategies with video tutorial and 10 indicators. In the same way, you will find a limited number of Forex education in the Forex Platform including Introduction, technical analysis, trading styles, and strategies. There is a virtual assistant linked with the education center. The assistant will guide you through a proper trading plan. You will find a video tutorial from where you can learn about the demo account, platform overview, deposit and withdrawal process, a guide for risk-free trading, and many more. Enjoy the video course from trade school. The video course is divided into 4 parts which is only available for Options traders. Each course will deliver something essential to you. The beginner traders and experienced traders will enjoy free training on trading. For beginners, they are offering strategy-based training, how to make money on economic news, and trader’s psychology. For experienced traders, they offer original trading strategies, capital management, and webinars analysis. To start a trade with a real account, you need to fill your account with a minimum amount. The minimum deposit amount is $10 for the standard account and $2000 for a VIP account. Select the desired payment option and the deposited amount. The amount will be converted automatically to your account currency depend on the bank rate. You can deposit your desired amount without any extra fees. For depositing money they support, Debit and credit cards, Bank wire transfer, and other e-payment solutions such as NETELLER, Skrill, WebMoney, QIWI Wallet, Yandex, Fasapay. Depositing through Bitcoin is also acceptable in the Olymp Trade platform. When the money is deducted from your card/ wallet, it will take 3-5 minutes to process the deposit or sometimes, it may take up to 1 hour. Select the right payment method from the list. Fill in the desired deposit amount. You will be offered a deposit bonus. However, you can “Cancel” the bonus if you do not wish to receive. 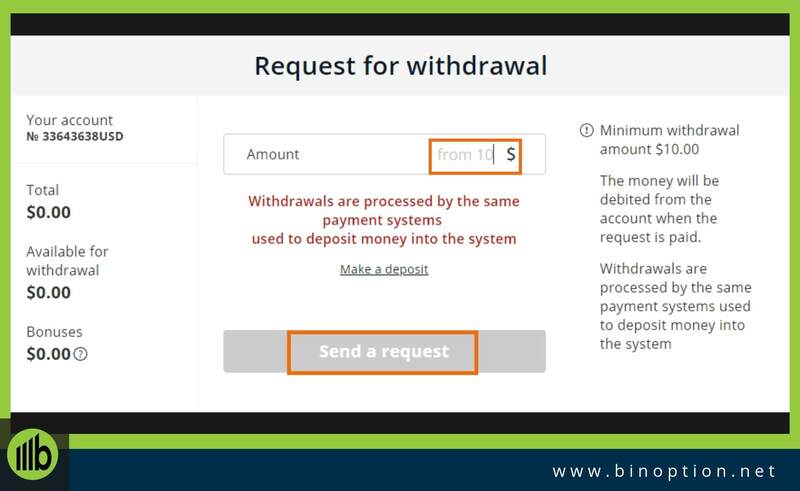 Withdrawals are processed by the same payment systems that you used at the time of depositing. The minimum amount of withdrawal is $10. 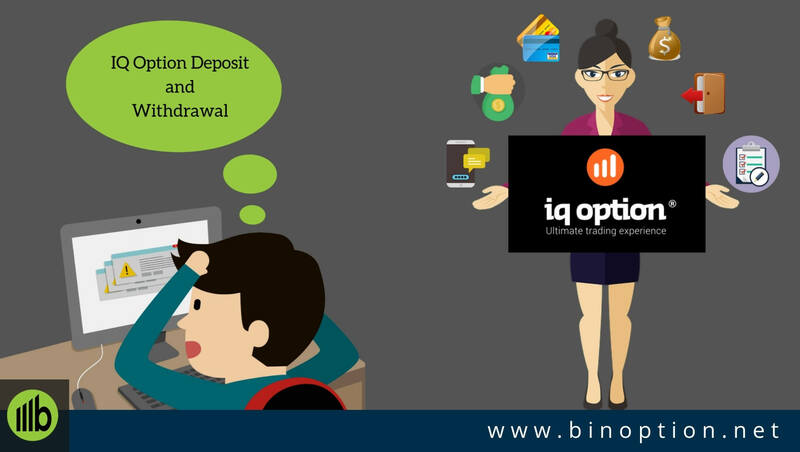 Olymp Trade offers unlimited maximum withdrawal facility. To withdraw money, traders do not need to pay any fee or commission charge. In the dashboard, you will find your available withdrawal amount. You cannot withdraw your bonuses. The maximum withdrawal period is 5 business days. If you withdraw money to the e-wallet, you will receive the money immediately after sending the money through Olymp Trade. In case of a bank card, receiving the money may take from 1 to 30 days. However, they try to process the request as soon as possible. As per the claim of this broker, usually, 90% of requests are processed within 2 to 5 working days. It depends on the queue of the processing center. The money will be debited from the account when the request is paid. You don’t need to provide any documents in advance. If needed, the authority will ask for the documents. Enter the amount in the relevant field on the fund’s withdrawal page. Press the “Send a request button”. When you open a demo account in the Olymp Trade platform, you will get a welcome bonus notification from the authority. The pop up welcome bonus alert will remain for 1 minute. You can grab the bonus by depositing money within this time or later. More than $5000, 50% bonus. 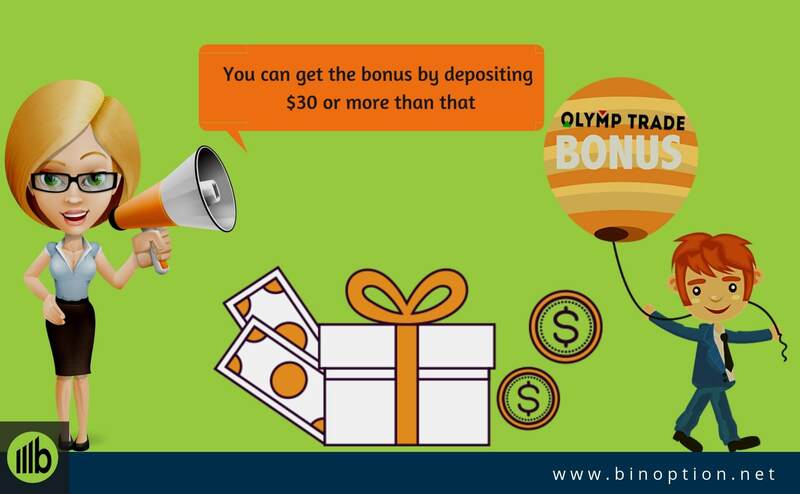 Olymp Trade clients can use the additional cash bonuses from the company. You cannot withdraw your bonus from the account. You can use them for opening a bigger trade. However, you can withdraw gained profit any time without any limits. You can also ignore the bonus by ticking the “Decline a bonus” option. The tournament offer is now closed for all types of traders. You can reach the support team via e-mail, telephone, and live chat which is available 24/7. You will get a response within 1 business days after sending them an e-mail. It is important to have a quality full support team in a broker platform. 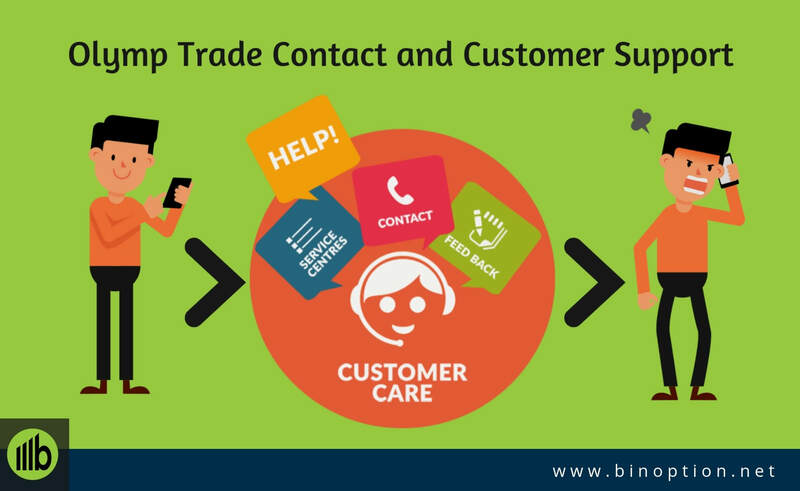 Quick response is necessary for a new trader to resolve his or her problems. You can also find them in social media like Facebook, YouTube and Google plus. For a demo testing, we contact through the live chat with a few major issues. We found that the customer support team is horrible and frustrating. They failed to answer simple questions and even gave wrong information regarding their platform. They had such a poor knowledge on their own trading platform. For example, we asked a question about their Company Awards and achievements. They kept sending us information regarding bonus and promotions. We found many positive reviews on Olymp Trade. However, our research is limited because many traders are from different countries and they have used their native languages in forums. We managed to translate them. We also found the complaint against their support team and above in the “Contact and Customer Support Section” we already discussed our personal experience with their support team. 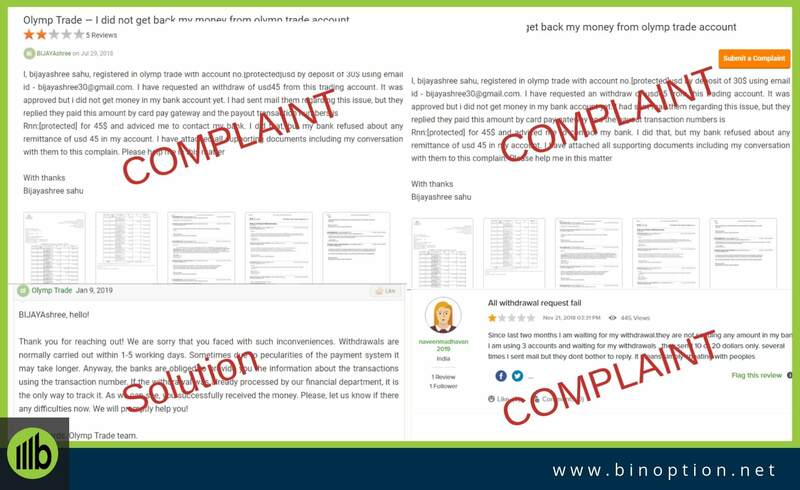 A trader from India placed a complaint about withdrawal issue. He tried to withdraw money from the broker platform. The withdrawal request was accepted by the platform but, he did not get any payment to his bank account. 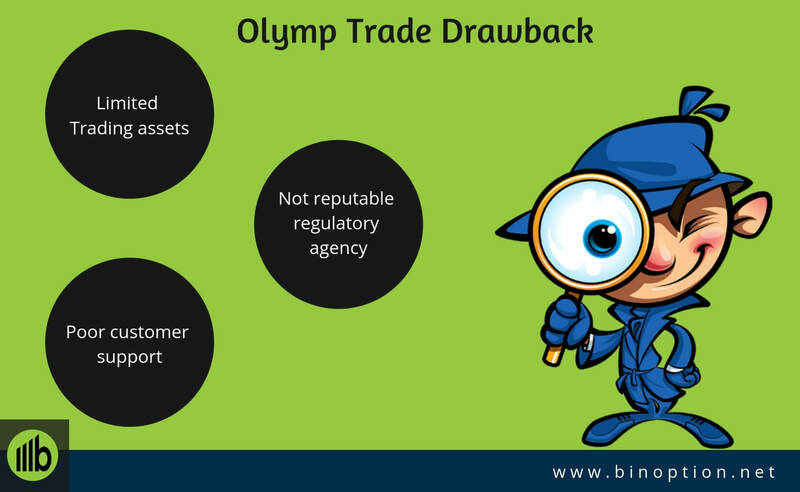 The issue was handled by the team of Olymp Trade smartly. 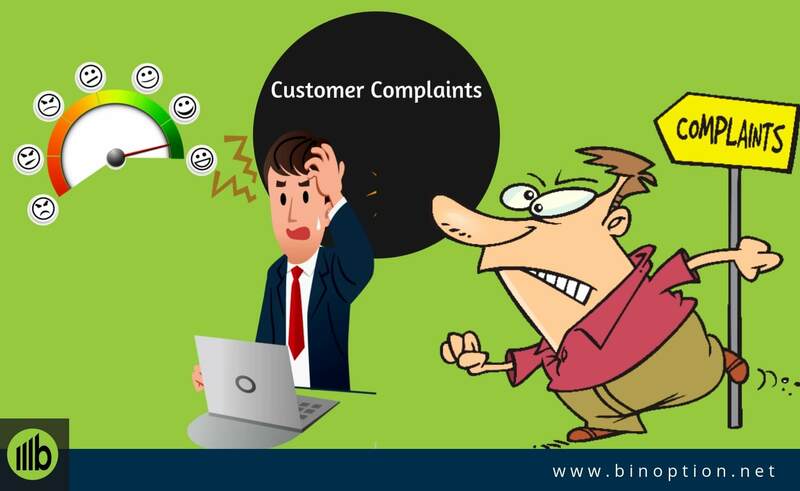 Another complaint was regarding the account block. The trader was unable to log in or access his funds. However, we could not able to verify the validity of this claim. Olymp trade is a member of the FINACOM. This is the main advantage of this trading broker. The main objective of Finacom is, to protect trader’s investment and also protect them from any kind of broker’s fraudulent activities. The membership is proof of the high quality of our services and guarantees each trader deposit insurance, comprehensive support and prompt resolution of all issues. The trading platform is easy to use for all types of traders. 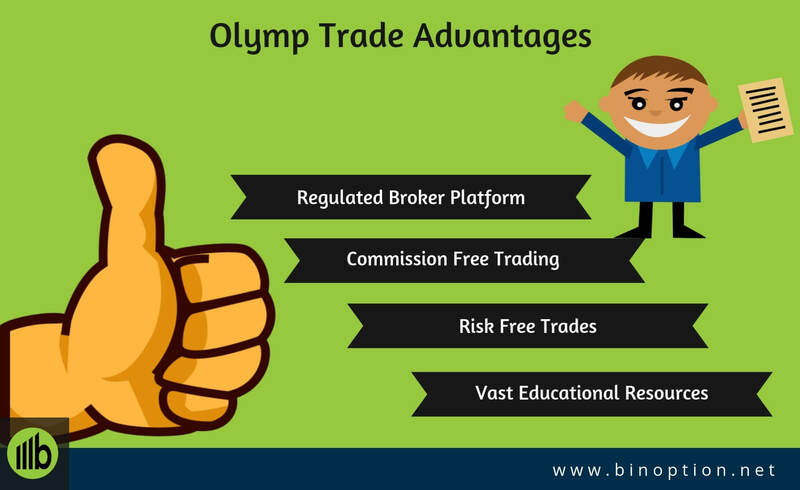 Olymp trade broker offers commission-free trading to their clients. You can also enjoy the risk-free trading in the real account. Go to the platform and activate the Risk-Free trade to save money if the prediction goes wrong. In-depth educational resources for all types of traders. We found few major drawbacks while testing the broker’s platform. For us, the major drawback is their poor customer support team. It is mandatory to have a strong support team to help traders when they are in real problem. The support team is not well organized at all. As a result, they delivered answer irrelevantly. The regulatory agency is not as reputable and well known as some other agencies like CySEC, FCA etc. However, it is better than being running the business without any regulation. Another drawback is the limited number of trading assets. The website is lacking key information. We found this question in numerous trading forum and also this question is logical to ask by new traders as well as experienced. 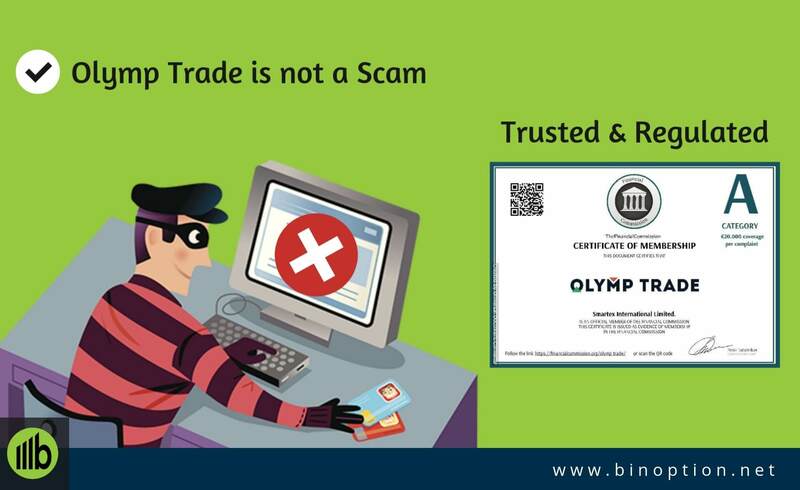 We believe Olymp trade is not a scam broker. Eventually, this is a reliable company which is offering a trading service to different traders. This trading platform is a member of the FinaCom trading agency. The regulatory body of the International Financial Commission maintain strict rules and guidelines for their brokers to follow and the organization themselves holds strong values of transparency, swiftness, and education. The broker platform has received many positive reviews from the traders. There are no hidden commissions incurred in the platform. Eventually, finding a trustworthy options trading broker is now difficult. From that point of view, we will give a positive rating for this broker platform. 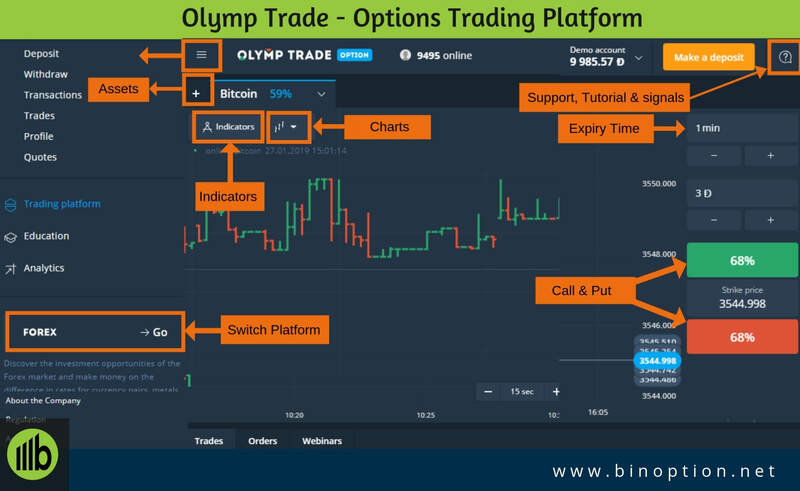 Olymp trade is a huge player in the digital options. It is not necessary that you have to be regulated for being a legit broker. For being a legit broker, you need other unique features along with proper regulation. However, we got all the positive things in this broker platform. Olymp Trade pays out over $9 million dollars in each month. Previously, we mentioned about Olyp Trade Scam. We were unable to find any scam activities done by this broker. Although, we reviewed many forums and websites to find any negative scam reports against this broker. Except for a few minor complaints, we mostly found positive comments. So, enjoy your trade with this seamless trading platform by investing as low as $1.